It must be your unbirthday because Hollywood.com has a very special gift for you. In anticipation of the fall’s most magical new series, we’ve gathered up everything you need to know about the new Once Upon a Time spin-off centered in the mystical and thrilling realm of Wonderland. A very merry unbirthday to you, indeed! Sophie Lowe stars as Alice, a girl who finds herself in a strange and wondrous land after falling through a rabbit hole. However, after losing her one true love — a genie named Cyrus (Peter Gadiot) — Alice returns to Victorian England with a broken heart and new set of problems. No one believes Alice’s tales of invisible cats, hookah-smoking caterpillars, or a murderous Red Queen, and she is then locked away in a spirit-crushing insane asylum. Just when it looks like Alice’s fate has been sealed, the Knave of Hearts (Michael Socha) and the White Rabbit (John Lithgow) arrive just in time to save our heroine. After discovering that the love of her life is actually alive, Alice and her friends travel back through the rabbit hole to face the dark and captivating evils of Wonderland. As for Sebastian Stan, the Mad Hatter that fans have already come to know and love in Once, Kitsis says that infamous role in Wonderland all depends on the actor’s busy schedule. “If Sebastian has a week, we’ll take it,” Kitsis says, adding, “[But] he could be free when Wonderland wraps. We’d love to have him back.” There is one other Once character that the creators are definitely hoping to bring in to the spinoff: The Queen of Hearts — also known as Cora. “Assuming that the show goes forward, and assuming she says yes, yes [Cora will appear],” Horowitz notes. Ready for even more spell-binding details? 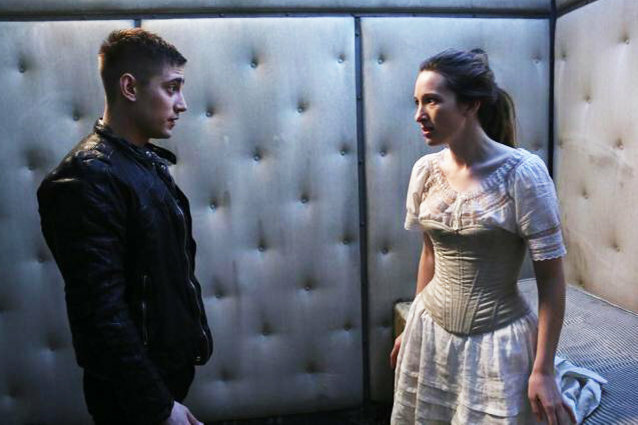 Take a look at the trailer, which debuted at the ABC upfronts on Tuesday, below to enjoy your first sneak peek into the world of Wonderland and meet all the enchanting new characters. 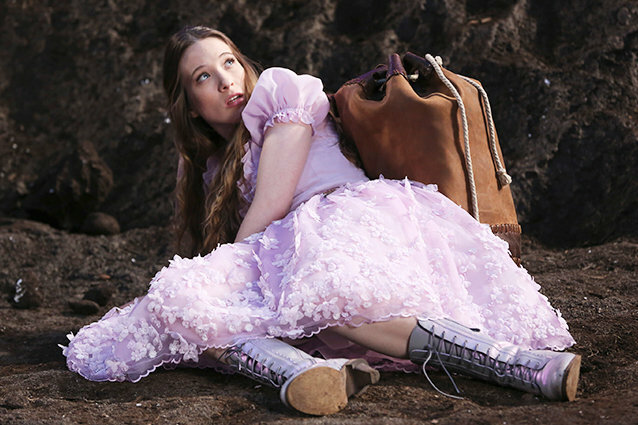 Don’t be late for a very important date: Once Upon a Time in Wonderland will air this fall on Thursdays at 8 PM on ABC!